Places are always limited so book soon, every course we run is booked early because we hold relatively small classes to ensure everyone walks away at the end of the week or weekend with the ability to apply effective traditional Feng Shui on their own home or business, Feng Shui that will get you results. 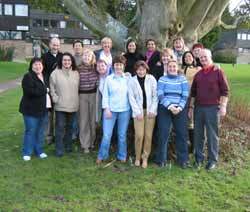 Our International Academy (school) of Feng Shui attracts students from all over the world including United Kingdom, United States of America, Canada, Thailand, Iceland, Spain, Ireland, Estonia, Germany, France, Switzerland, Singapore and Hong Kong, to name but a few. Many of our students have been taught by Feng Shui schools in Barcelona, London, Madrid, USA, UK, France, Italy, Germany, Hong Kong, Singapore, Malaysia and many other parts of the world by some of the greatest Feng Shui teachers although every single student that has attended our courses cannot believe how much more they learn and advance within such a short period of time. So whether you are a Feng Shui novice or trained Practitioner looking to further your knowledge, this course is perfect. Within two days you will have been given significantly more knowledge and undisclosed secrets than 80% of practising Feng Shui Practitioners use with their clients. A bold statement to make but is a true fact. 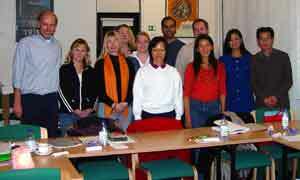 Many Feng Shui Consultants charging hundreds of pounds have little knowledge of traditional Feng Shui School. Our unique two-day foundation course has been designed to give you more knowledge with less technical work enabling you to achieve a higher learning curve within a very short time. We have not designed this exceptional Feng Shui school course to undermine what a true Master would teach, our Masters taught us the old fashioned way and for this we are grateful, however, in this modern world we have designed the tools and unique teaching techniques to provide shortcuts through software and computers. Years ago Doctors had to learn Latin to graduate, a brain surgeon had to have a steady hand; nowadays most professions have been given modern tools to enable them to learn faster and work more accurately. Whilst we fully agree with the philosophy of a Feng Shui School Master insisting on a student spending many years to learn the theory and applications, but surely this learning period can be shortened, aided by modern tools, with accuracy ensured. This has to be the way forward together with our ambition to ensure traditional and effective Feng Shui is used by all. ‘Thank you so much for sharing your incredible gifts and talents, I am so happy that I went to England to meet the two of you. I am home so much richer then when I left. Out of all the teachers I have had, yours is the tops. Michael, you and Sallie are the best and I appreciate all of the time you both have put into giving. Thank you so much again. Feng Shui Practitioner 15 years. At the Academy of Feng Shui we run two-Day Foundation Courses designed for you to learn traditional Feng Shui in the shortest time possible. Once you have completed the foundation course you can attend a Practitioner course, which enables you to carry out your own consultations armed with the knowledge and secrets that many Masters hold very tight. Thank you both, once again, for such an excellent course. I learned more than I could have imagined, I know that I have a really solid foundation on which to practise and to improve. I can’t wait until the next one! We are exclusive in our method of teaching, not only do we use software and modern technology teaching aids to help you but also many Feng Shui secrets are passed onto you. As far as I am aware there have been only a handful of books written for the western market on authentic and traditional Feng Shui that in my opinion have been worth reading, if only to obtain a slim grasp of traditional Feng Shui. Having just a grasp can be dangerous, “a little knowledge” as they say. To truly understand authentic Feng Shui you must first have a clear understanding of what Feng Shui is and more importantly isn’t. Many call it the art of placement; some perceive it to be placing a few symbolic items in fixed areas of the home, and some believe that by hanging a beautiful wall scroll of the Chinese character for wealth money will just roll in. Authentic Feng Shui is a science and an art that can only be mastered with formal training. Most people do not have the time to study and School for many years, that is why we have designed the perfect course to ensure that you grasp the fundamentals and obtain a usable knowledge applicable to your own home or office in the shortest time possible. Anyone with an inspiration to learn a tangible science that will benefit them, their family or business. What the course does not cover? Know the twenty-four mountains without reference to any notes. This is only a small part of the training and to top it all you have to dedicate at least ten years of your life as a student to be able to become a Practitioner. Every part of the above we agree with to a degree but unfortunately you do not have the time, which is why we have prepared this course so you can discover this mysterious art in the shortest time possible. It would be impossible to cover everything in just two days but to walk away after this exciting course with a clear understanding of how you can make Feng Shui work for you; your family or business is worth far more than words can tell. Within two days you would have learnt more than most students take two years to learn. I have to say that for an absolute beginner (having read a couple of books previously and now understanding that it was all wrong – I have to class myself as a beginner!) I found the course really worthwhile. I thoroughly enjoyed acquiring the knowledge and can’t wait to look at my house and surrounding area. Thank you for putting on such a wonderful course and sharing all this knowledge with us – it will make such a difference knowing how it all ties together! How can you avoid all the traditional training and still understand the theory of Feng Shui? It is fascinating to learn Chinese culture and the history of Feng Shui. Almost every book I have ever read on the subject starts with the words “Feng Shui” which translated means “wind and water”. I think we all know this but we feel most would rather learn how we can tap into our wealth, health or romance star in the shortest time possible. The software provided by us has been exclusively designed by the Academy of Feng Shui and Michael Hanna and provides 100% accuracy in calculating your natal chart for Xuan Kong Feng Shui. 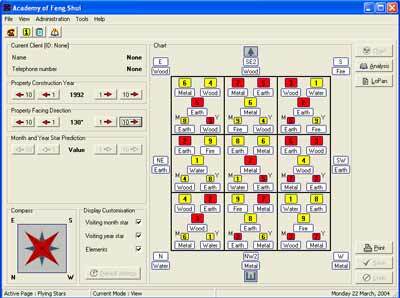 This one piece of software saves many days learning how to create your own natal chart and of course giving complete accuracy which is the most imperative part of any Feng Shi analysis. · 100% accurate calculation of a Xuan Kong natal chart with mountain, facing, period, annual and monthly stars. · A full list of each star and directional element showing instant view of conflicts. · Save as many clients or friends on a database offering instant recall of all client data. · Comprehensive information on Lo Pan, house trigram, element, mountain name and so much more. · Import floor plan superimposing all the cardinal directions over it offering accurate scale of directions so you will instantly know where south, north etc. occupy your home or office. · Calculate your Ming Gua (eight mansions) Trigram showing you or your clients instantly your good and bad directions. This course or software is not intended to replace the training a true Master can offer but it will give you the confidence of accuracy of your calculations. This is very important as mistakes in Feng Shui can cost health, relationships and wealth. It was so nice to meet you and Michael face to face – thank you both for putting together such a user friendly course … well. I came away feeling I had learnt a great deal, gained confidence with my new found knowledge, and best of all progressing to a more detailed level which is very interesting. Once again, xie xie nee – wish you all the best with your next course and look forward to meeting up again in the future. · How to use water to activate your wealth. · How to activate your property for wealth, health, romance and study. Having attended the course, you will be aware of the qualities of the different energies and be able to apply this knowledge to your own property and in particular to maximise the function and potential of each room and space. You will learn to be creative in using cures and enhancers. Remember, you are the only one who can determine what type of changes or renovations you can afford and also to suit your own taste. There are no frills in this course, as we will plunge straight into the real application of Feng Shui, which you can apply to your environment immediately. As we do not have sufficient time in this two day course to dedicate time to the history of Feng Shui I suggest you look through our vast resources to familiarise yourself with our ethos on Feng Shui. Course notes will be sent to you once you have confirmed your booking. Where will the course be conducted and who are my tutors? 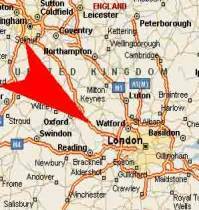 The school location is Green Park, Aston Clinton in Buckinghamshire, UK. This magnificent 80-acre parkland nestled into the Chiltern Hills; it boasts its own natural springs and varied wildlife. It is within easy reach of London and all main motorways. You will not find a better location to not only learn authentic Feng Shui but to experience land forms in real life at our doorstep. On day two of our course we perform actual consultations on neighbouring buildings. Aston Clinton is a small village located within a 30-minutes drive of the M1, M40 and M25; the nearest airport is Luton (30 minutes), Heathrow (30 – 40 minutes) and Stansted, which is approximately 1 hour. Location map and view from academy. There are many good quality hotels or guesthouses in all prices ranges within walking distance or a short drive. We will send you details of these along with the course information. your study of Classical Feng Shui. done correctly, with skill and are not just by a guessing game. weight when practising Feng Shui. And to learn many closely held secrets. There are no other courses available of which we are aware that can offer so much within such a short time. This condensed two-day course provides you with knowledge and understanding that would take many schools and book years to learn. Of course, we hold further courses that will teach you the way our masters have taught us. These advanced courses have been designed for students who have attended this course and wish to acquire the knowledge that gives the ability to advise clients on a professional basis without the need for computers and software. Some of you may follow our monthly newsletter and our analysis of Xuan Kong flying stars each month. This is only the tip of the iceberg. If you are able to attain a better understanding of authentic Feng Shui and to apply it in your own home or office, the results are amazing. The class is always kept to a manageable size, this way we ensure everyone receives our full attention at all times. The take up rate is extremely high, so please do not miss this opportunity and do not forget the course will also be good fun as learning is enhanced when the atmosphere is balanced. This is only available by invitation once you have completed the two-day foundation course. More information will be available once you have completed the course. please click on the banner above. i would like to know abiut your course. We are not currently running any courses although I can add you to our mailing list for future courses if you are interested? I\’m afraid we do not have any upcoming courses although I can add you to the mailing list for future courses if you like.